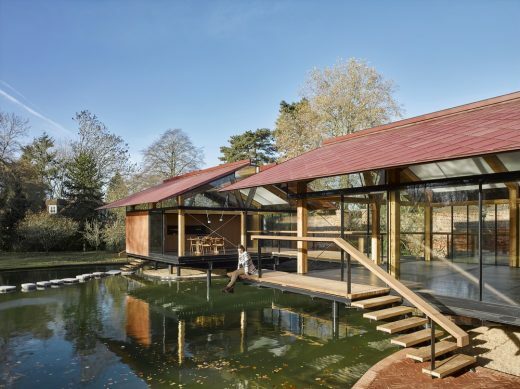 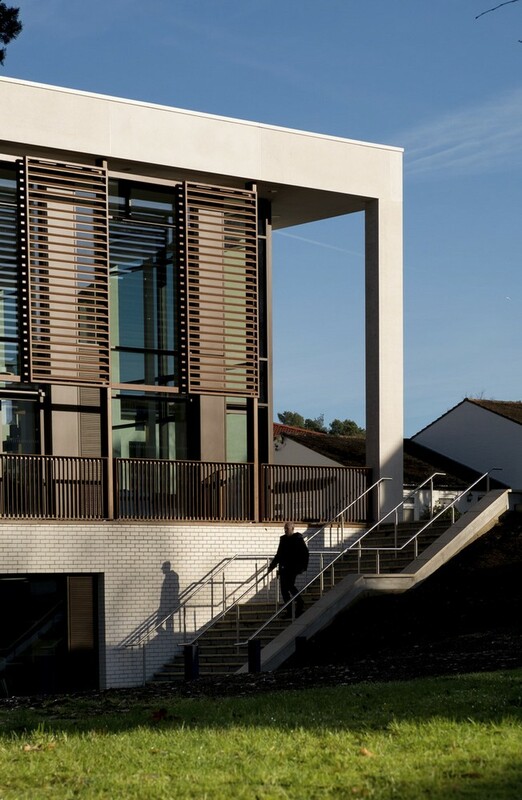 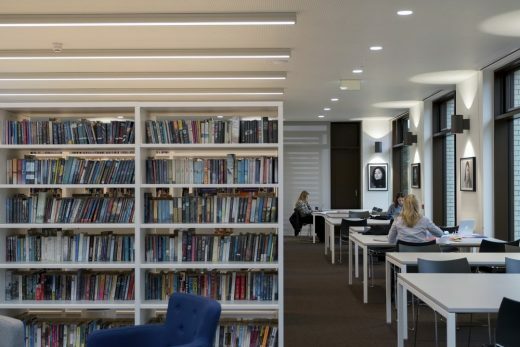 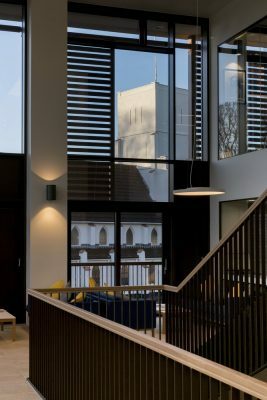 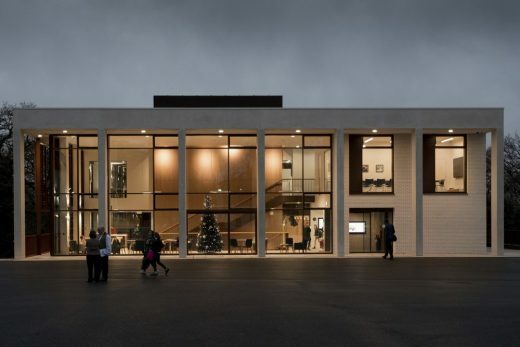 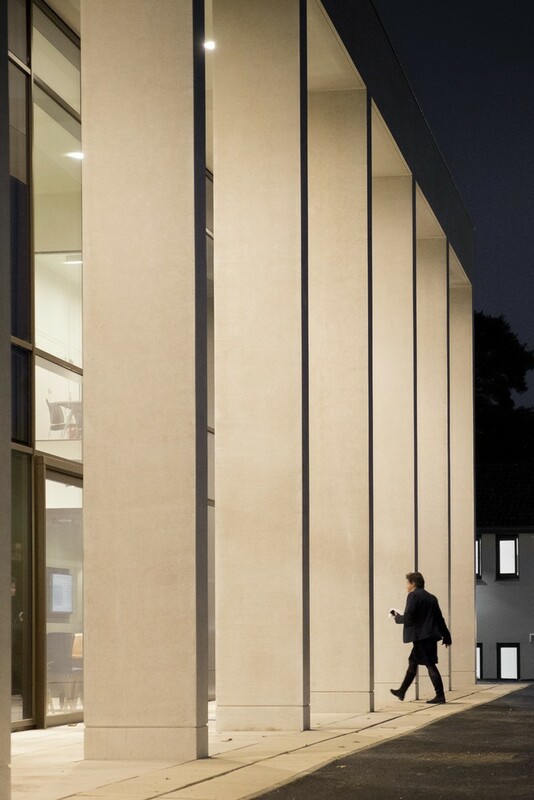 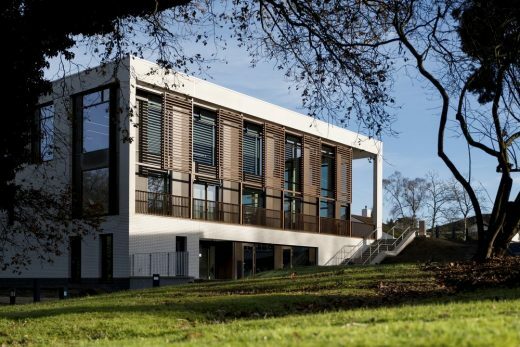 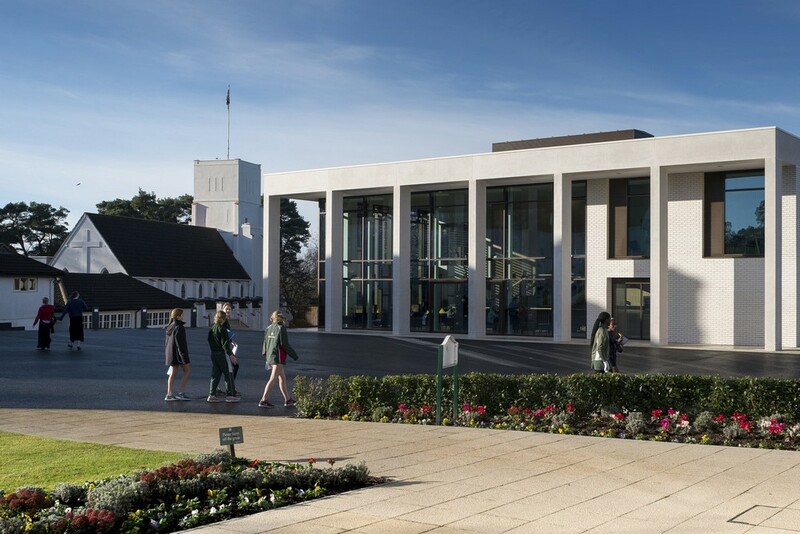 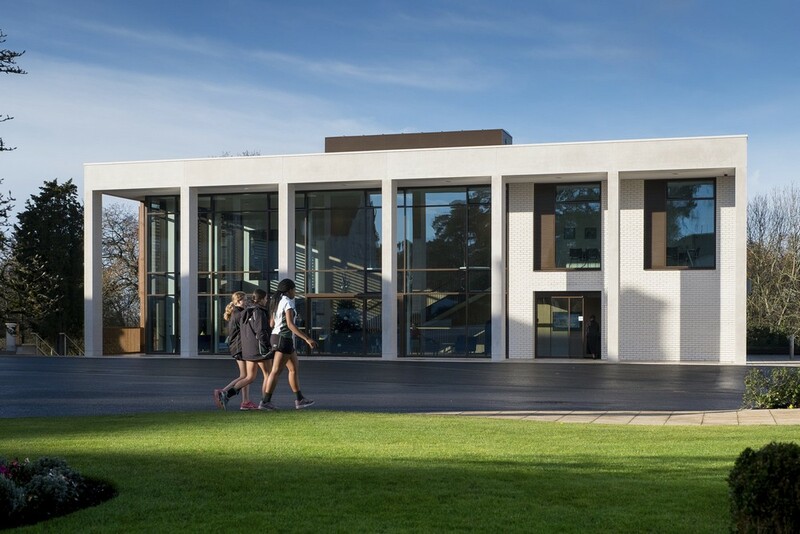 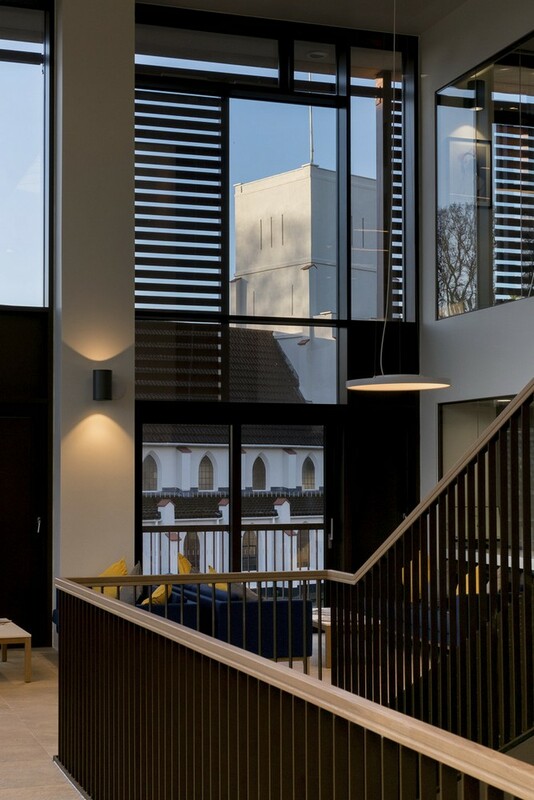 Multi award-winning architects Design Engine have completed the Murray Centre, a new learning centre at Downe House, an independent boarding school for girls in Cold Ash, Berkshire. 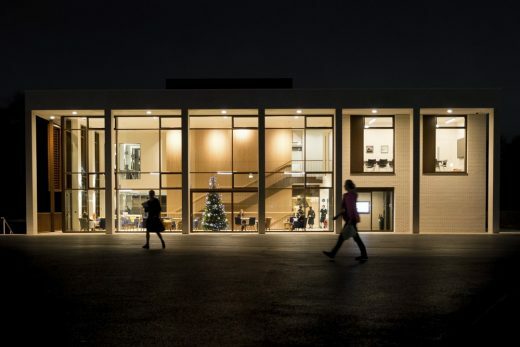 Following an invited design competition in 2013, architects Design Engine were commissioned to develop proposals for a visually and experientially inspiring building that would sit at the heart of the campus and serve as a hub for some of the key spaces of learning and day-to-day activities: a new library, multi-purpose auditorium, teaching spaces, cafe, shop, social space, offices and sixth form supporting spaces. 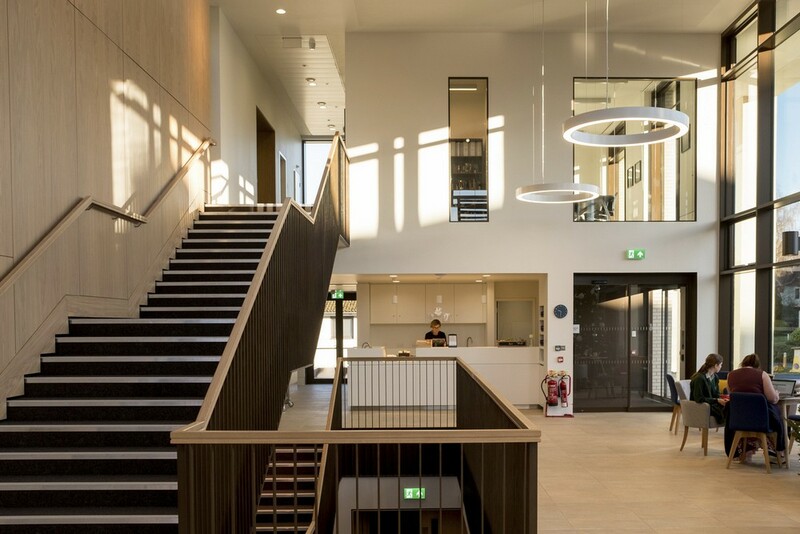 Crucially, the centre was also envisaged as an environment which acts as a stepping-stone towards the experiences of Higher Education. 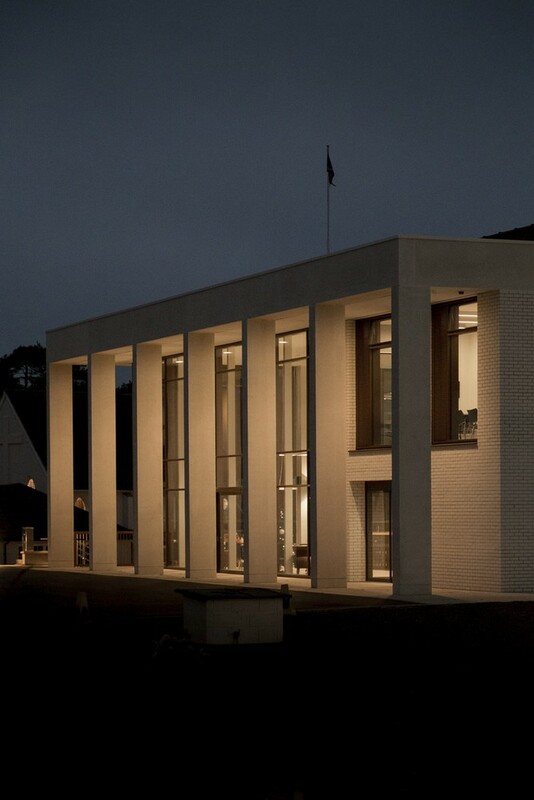 Situated at the end of the School’s linear entrance route, the Murray Centre’s strong form and glazed east elevation create a physical and visual draw into the campus. 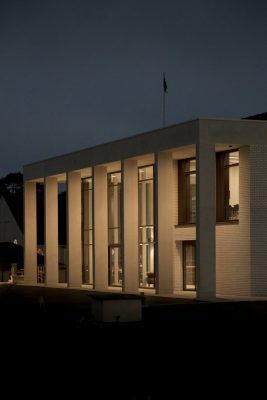 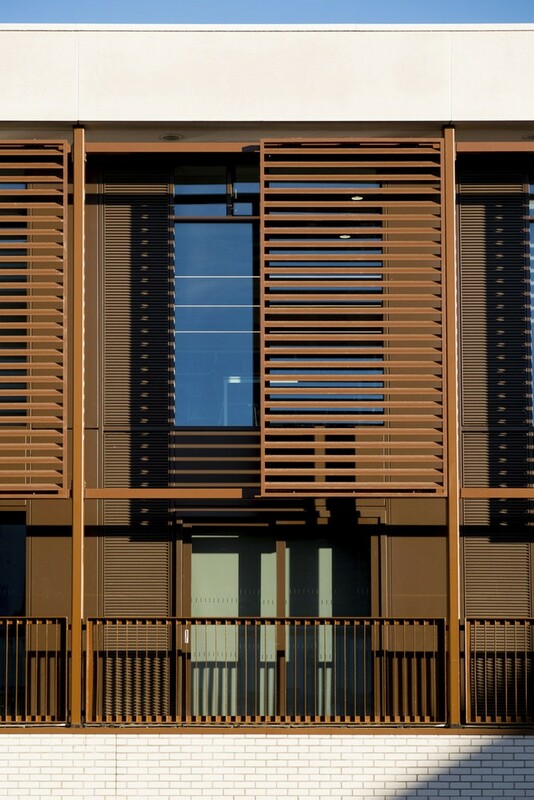 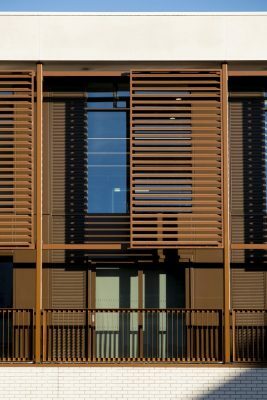 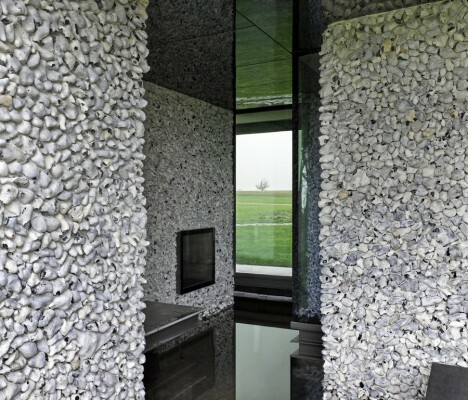 The building’s form and materials are intended to respond to the distinctive character of its built context. 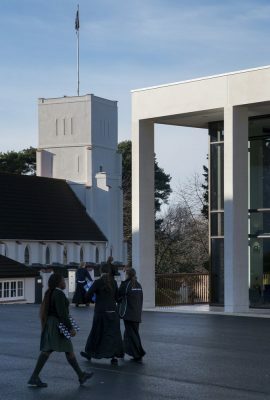 The building’s location and fenestration also have been arranged to connect with the surrounding woodland that gives the School a unique setting. 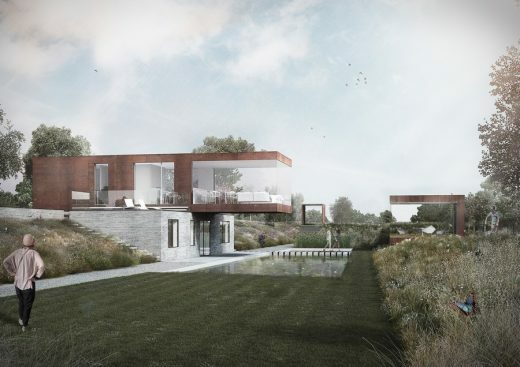 The accommodation is arranged over three storeys, with a lower ground floor partially set into the natural site levels. 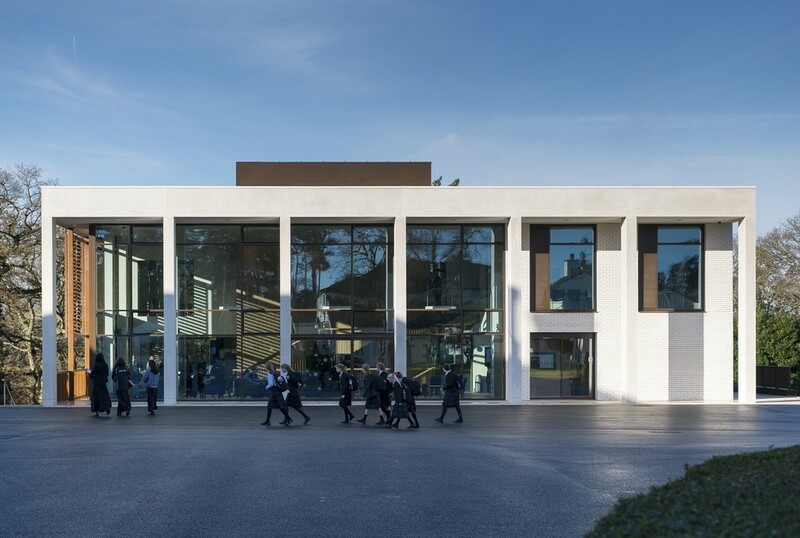 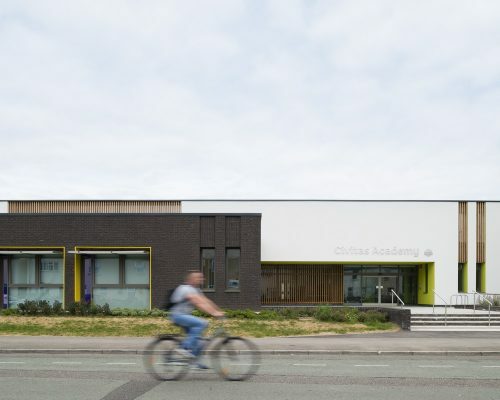 This allows a two-storey main entrance foyer well as creating other opportunities for generous spaces and strong physical and visual connections both internally and with the surrounding campus.